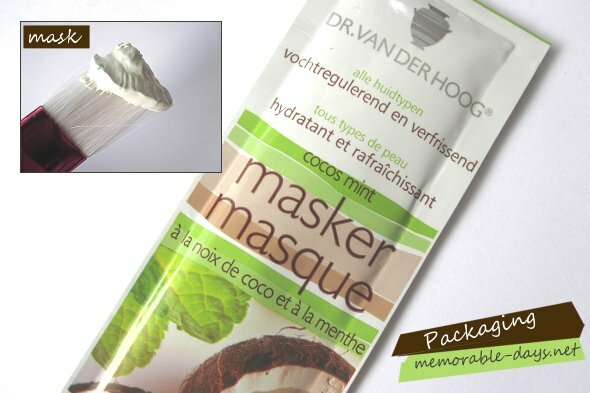 Review: Dr. van der Hoog Cocos Mint masker | Memorable Days : Beauty Blog - Korean Beauty, European, American Product Reviews. 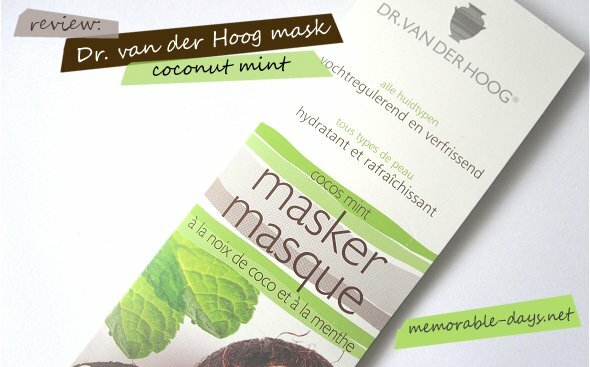 Today I'm going to review the coconut mint mask of the Dutch brand Dr. van der Hoog. Last time I reviewed the chocolate mask of this brand. I wanted to try the coconut mint mask as well, since I like the scent of coconuts ^__^! This mask has moisturizing and refreshing properties. It's a cream mask with coconut milk, peppermint extracts and pro vitamin B5. After usage your skin will feel soft and clean. This is suitable for all skin types. This mask costs €2.05 and there is 10 ml in it which is quite alot. 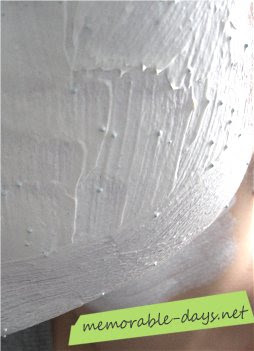 All you have to do is, tear the packaging open and use a brush or your fingers to apply the mask on the face. (I used a cheap brush btw.) The packaging is green, brown, white and there are coconuts on it. Put a thick layer on a clean skin. Leave the eyes and mouth area open. Wait for 10 - 15 minutes. When it's time, wash the mask off with lukewarm water. I really liked the coconut scent of this mask and it felt very refreshing ^__^. However, this mask wasn't moisturizing enough for my skin, since it felt a bit dry after usage (AHHH >.<"! My skin is always so dry!!). However, I just used my day cream after it and my skin felt clean, fresh and moisturizing again :). Ziet er goed uit! Ik vind de meeste dr. van der hoog maskertjes ook fijn tot nu toe! @Mitchin, ahhh heb je eindelijk een order geplaatst en sheet masks gehaald ^___^ hihi ?? This sounds like a really yummy smelling mask :D Too bad it's not very moisturizing though.